Two weeks ago I gave my first update on the top five teams and the bottom five teams in the first two weeks of the season. Lets see how things have changed in the NHL as of 10/27/2016 - 11/10/2016. The Blackhawks have won their last seven games. They're also 9-1 in their last 10. Furthermore, they are tied for the second best goal differential in the NHL with 15 more goals scored than given up. 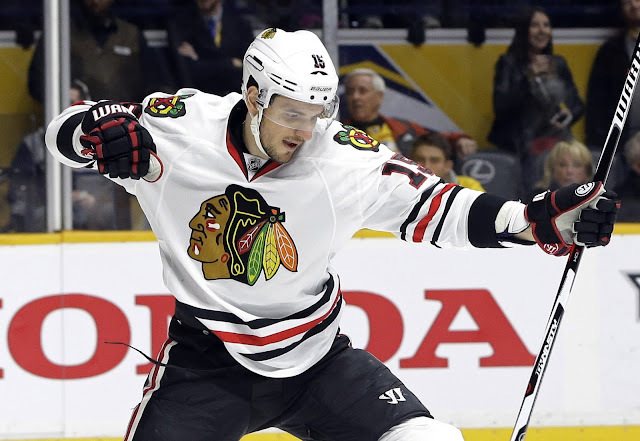 Artem Anisimov is leading Chicago with eight goals and nine assists for 17 points. Raise your hand if you guessed that? No? No one? That's what I thought. Corey Crawford's .939 save percentage isn't going to hurt either. The Canadiens started off the season in the number one spot and they would have stayed there had it not been for Chicago's hot streak. Montreal has only lost one game in regulation, which includes being undefeated at home at the Centre Bell. They've recently won three straight games and that's good for second best in the NHL. The Rangers still sit atop the Metropolitan Division even though they are tied with the Pittsburgh Penguins in points through 14 games. The difference being the Rangers are 8-2 in their last 10 games. The Rangers have the best goal differential in the NHL with a +24. Their goaltending hasn't been superb but it's been good enough. The biggest success the Rangers are getting is balanced scoring. New York already has eight players with 10 or more points. As previously mentioned the Penguins are tied with the Rangers atop the Metropolitan division. They've had a recent surge in points but the Rangers have had just a slightly better surge. Pittsburgh lost it's first regulation game at home last night but has struggled on the road only going 3-2-1 so far. Most of the Penguins successes can be attributed to the stellar play of Sidney Crosby who has scored nine goals and recorded two assists in just eight games played. The Devils don't have a record that stands out at you but they're 6-2-2 in their last 10 games. New Jersey is doing just enough to remain in the picture. They fact they still haven't lost a regulation game at home is keeping them alive. Their road record though, is abysmal, and if they can improve their play on the road, they'll have a great shot at competing for the Metropolitan Division crown. The Canucks are 1-9 in their last 10 games. 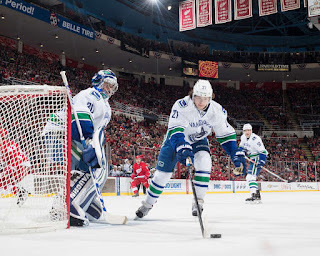 However, that one win did come against the New York Rangers on November 8th. After starting the season 4-0, they're in a total free fall. They're the worst road team in the NHL going 1-6-1 so far on the season away from home. Carolina remains in the second spot of the worst teams in the NHL. This encompasses just the last two weeks but the two weeks before that, they also just did enough to not be the worst team. The Hurricanes are at the bottom of the Eastern Conference with just 10 points and are 3-5-2 in their last 10 games. 1-3-0 at home? Yikes. The Avalanche have lost their last two games and are 3-7-0 in their last ten. Their go to goaltender, Semyon Varlamov has posted just a .881 save percentage in eight games played. Colorado's backup goaltender is Calvin Pickard. If there is any reason they've struggled in the last 14 days, it's because their goaltending is not good. The Flames have the longest active losing streak in the NHL as of this moment at three games. They need to make sure it doesn't get worse. They are 4-6 in their last 10 games and sitting just one point away from the bottom of the Western Conference. The Islanders come in as the best of the worst. There's much to improve on but things aren't completely dire for New York. They're 4-4-2 in their last 10 but they haven't won on the road. The Islanders are having issues trying to get their goaltenders going as Jaroslav Halak has a .903 save percentage and a 3.03 goals against average. The save percentage isn't terrible, but it's close to bad. The GAA is going to need to start dropping if the Islanders want to get back to winning. Scoring has been an issue too as their leading scorer, John Tavares, has just five goals and six assists. They're struggling in the PR department as well as issues and complaints about the Barclays Center continue to arise. This time it's bad ice.